Welcome to HCI Consulting Inc.
HCI Consulting is one of Ontario's leading Human Resources consulting firms, specializing in Compensation (Pay Equity), Job Evaluation and Market Surveys services. Our head office is located in Waterloo Region with Senior Consultants located throughout Southern Ontario. Human Capital Investment (HCI) Consulting Inc. was founded in 2010 by consultants with over 25 years of experience as Human Capital/Reward Consultants with various large multinational consulting firms including KPMG Consulting LP, Watson Wyatt Worldwide and Towers Watson. HCI facilitates diverse HR and compensation related consulting projects with both public and private organizations, small to large employers and diverse provincial establishments across Canada and the U.S.
HCI specializes in the area of pay equity compliance, and our consultants have worked extensively in public/private sectors to develop pay equity plans for both union and non-union workforces. HAVE QUESTIONS ABOUT PAY EQUITY, COMPENSATION OR GENERAL HUMAN RESOURCE DELIVERY? ASK OUR EXPERTS. A team comprised of broad-based compensation consultants with extensive pay equity experience and expertise. HCI Consulting Inc. takes pride our approach with clients. 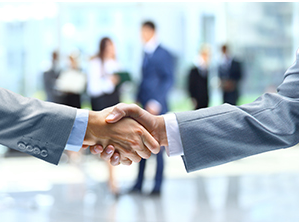 We are committed to developing a strong and enduring business relationship that will last. We are not large and global in nature, but our consultants have successfully worked for various large multinational firms in this industry for a combined period of more than 20 years. This allows us to provide best practice and leading-edge ideas while still being more sensitive to price and customer service. We can offer our clients significant consulting experience in all aspects of human resource management, total rewards strategy and design. We have secured, facilitated and personally directed a large number of broad based human resource management and compensation assignments, including the development of human resource/reward strategies and the design of a wide range of salary management, variable pay, job evaluation systems and pay equity plans for both the private and public sector organizations.